Fifteen vendors showed their small collection of T-shirts and sweatshirts, which were created in cooperation with the Design College of Barcelona. [post_ads]A crowdfunding campaign collected 48,000 euros ($59,000) to help set up their new association of Barcelona street vendors and launch the project in June 2017. It aims to find alternative employment for 200 street vendors, who buy the counterfeit clothes they sell from Chinese merchants, according rights platform PlayGround Do, which supports the project. "We want to show our value to those who do not want to see it. We want to contribute to the economy of Barcelona, which is our city," said a spokesman for the street vendors, Aziz Faye, in a statement. African migrants in Barcelona and other Spanish cities have for years earned a living by selling items in the streets like perfume or hats which they lay on white sheets that they quickly pick up and take away when the police arrive. 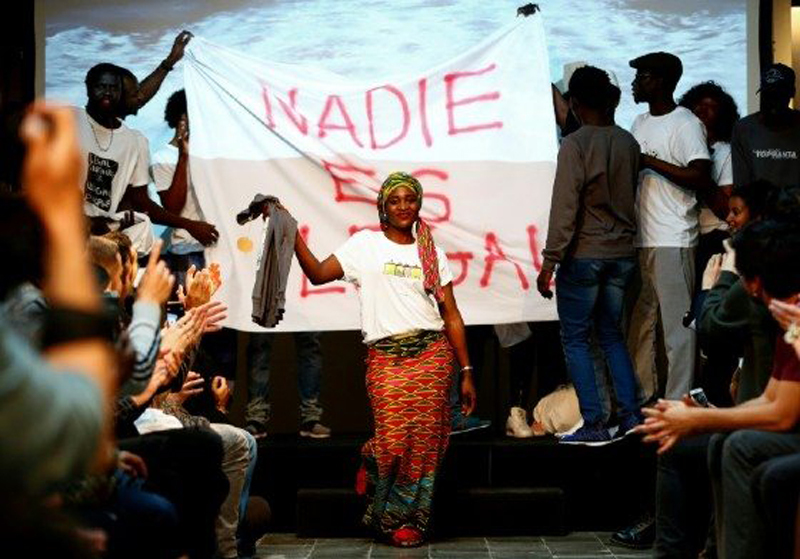 Last month the death of Senegalese street vendor of cardiac arrest in Madrid reportedly following a police chase thrust the spotlight on their plight and sparked violent clashes in the city. Copyright © 2018 AFP. All rights reserved. All information displayed in this section (dispatches, photographs, logos) are protected by intellectual property rights owned by Agence France-Presse. As a consequence you may not copy, reproduce, modify, transmit, publish, display or in any way commercially exploit any of the contents of this section without the prior written consent of Agence France-Presses.